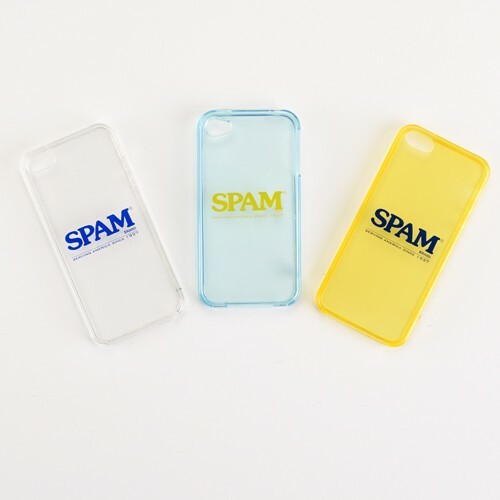 Translucent protective case for iphone SE, iphone 5 and iphone 4 with "SPAM® Brand Serving America Since 1937" imprint on back. Available in translucent blue, clear or yellow. When ordering for iphone SE select iphone 5. iphone SE and iphone 5 are the same size.